Hannah lived in Malden, Massachusetts. She married Joseph Lamson, son of Joseph Lamson and Elizabeth Mitchell, on Friday, 13 Jul 1708. [S914] Aaron Sargent, "Births, Marriages and Deaths in Malden", NEHGR , published 1857, volume 11-12, page 352, 84, 49 (Boston, MA: New England Historic Genealogical Society) , Vol 11, Apr 1856, p 128. Dorothy lived in Charlestown, Massachusetts. She married Nathaniel Lamson, son of Joseph Lamson and Elizabeth Mitchell, on Wednesday, 13 Jan 1722/23. [S65] Lucius Paige, History of Cambridge, Boston, MA: H O Houghton and Company, 1877, p 573. Thomas Leavenworth was born in 1673. Thomas Leavenworth was a doctor. He died on 4 Aug 1754. [S1142] Elias Warner Leavenworth, A Genealogy of the Leavenworth Family in the United States, S G Hitchcock & co, 1873, p 43. [S2895] Lucius Barnes Barbour, compiler, Connecticut Vital Records (The Barbour Collection): Stratford Births - Marriages - Deaths 1639-1840, Connecticut: NEHGS: from original typescripts, 1925, viewed either on ancestry.com or the NEHGS website, p 91. Mary Dorman was born on 12 May 1680, in New Haven, Connecticut. Mary Dorman died in Jun 1768 at age 88. Jeremiah Peck was born c 1667, in Guilford, Connecticut, Possibly he was born in Newark, NJ. In 1690 Jeremiah moved to Waterbury, Connecticut, with his father. He married Rachel Richards, daughter of Obadiah Richards and Hannah Andrews, on Saturday, 14 Jun 1704 in Waterbury, Connecticut. Jeremiah and Rachel lived in Waterbury, Connecticut. He was a highly respected citizen in Waterbury. He collected town rates in 1703, constable 1713, 1717, 1723, and a deputy to the General Court of CT in 1720 and 1721. He was appointed one of the first deacons of Northbury Church 1739-1746. He was also a man of wealth..
Jeremiah Peck died in 1752. Rachel Richards was born on 6 May 1683, in Waterbury, Connecticut. She married Jeremiah Peck, son of Jeremiah Peck and Johanna Kitchell, on Saturday, 14 Jun 1704 in Waterbury, Connecticut. Rachel and Jeremiah lived in Waterbury, Connecticut. She married Mark Leavenworth, son of Thomas Leavenworth and Mary Dorman, a Aug 1750. Sarah Hill died on 7 May 1808. Mark Leavenworth was born on 26 May 1752, in Waterbury, Connecticut. He died in 1812 in Paris, France. Joseph Leavenworth was born on 19 Jan 1755, in Waterbury, Connecticut. He died on 6 Jan 1756. Sarah Leavenworth was born on 11 Dec 1756, in Waterbury, Connecticut. She died on 23 Feb 1793 at age 36. William Leavenworth was born on 23 Feb 1759, in Waterbury, Connecticut. [S3734] New York Evening Post DeathsNEHGS, Vol 15 p 35. Nathan Leavenworth was born on 11 Dec 1761. He died on 9 Jan 1799 at age 37. Joseph Leavenworth was born on 15 Jun 1764, in Waterbury, Connecticut. Elisha Leavenworth was born on 21 Oct 1766, in Waterbury, Connecticut. He died on 3 May 1802 at age 35. 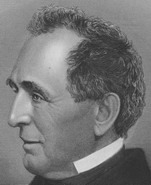 Belvidere Davies was born on 4 Jan 1804, in Washington, Connecticut, at Davies Hollow. She married George Ranney in 1820. Belvidere Davies died on 6 Aug 1870 at age 66. John Foote Davies was born on 2 May 1796, in Washington, Connecticut, at Davies Hollow. He married Almeda Giffen on Sunday, 4 Jul 1819. John Foote Davies died on 1 May 1888 at age 91. Charles Davies was born on 22 Jan 1798, in Washington, Connecticut, at Davies Hollow. He died on 18 Sep 1876 in Fishkill-On-The-Hudson, New York, at age 78. [S12] Herold R Finley, "Kingsbury and Allied Families", Americana Illustrated , published 1938, volume Vol 32 No 1 (n.p. : n.pub.) , p 159. Henry Ebenezer Davies was born on 8 Feb 1805, in Black Lake, St Lawrence County, New York. He married Rebecca Waldo Tappan on Wednesday, 1 Jul 1835. He died on 17 Dec 1881 in New York City, New York, at age 76. [S218] Alice Kingsbury, Alice Kingsbury Memoirs, Privately published, 1935, Chapter 1. Thomas Alfred Davies was born on 3 Dec 1809, in Black Lake, St Lawrence County, New York. 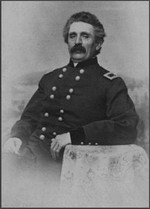 He graduated from United States Military Academy in West Point, New York, in 1829. He married Mrs Maria (Unknown) White on Saturday, 24 Aug 1844. [S399] American Experience, Web Site, http://home.ptd.net/~NIKKI/index.htm, viewed Sep 2007.